It's the golden age of rock'n'roll. Michael: When I was in my late teens and early twenties, David Miller and Gary Hodges were my closest friends. We all were the same age (David and I were actually born on the same day), and we all shared the same interests, particularly in regard to music, films, and art. Although we had long hair and a hip outlook, our avoidance of hard liquor and illegal drugs set us apart from most of our peers. We were close in the way that only young men without steady girlfriends can be close. I knew David first, when we shared an art class in high school, and through him I met Gary. For a while there also was Dan Cuny, a neighbor of Gary's who was a few years younger, but he soon dropped away and found other friends who were his own age, leaving the other three of us to ourselves. We spent time together nearly every day. 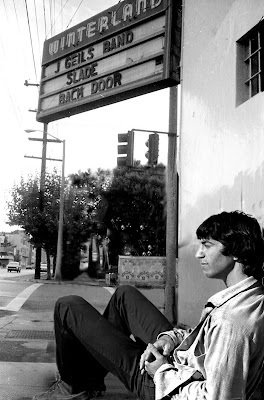 We lived near San Francisco, a city which, in the 1960s and 1970s, was a magnet for fans of rock'n'roll. All of the great bands came to the city at one time or another. Tickets for shows had not yet become unduly expensive, and there was a good show every week, usually promoted by Bill Graham. We were totally consumed by our interest in the music of the day, especially the new music that was coming from the United Kingdom, and made regular visits to Tower Records in Berkeley, looking for the latest releases. Over the course of several years, we attended dozens of shows together, seeing most of the British performers who passed through the Bay Area: Pink Floyd, David Bowie, Led Zeppelin, The Kinks, Elton John, Rod Stewart and The Faces, Eric Clapton, Jethro Tull, Traffic, The Moody Blues, Yes, Procol Harum, Cat Stevens, Ten Years After, Humble Pie, Mott the Hoople, Slade, Peter Frampton, Bad Company, Robin Trower, Deep Purple, and many others. At that time, rock'n'roll was still at its best, before it was taken over by businessmen in the 1980s and became overly corporate. 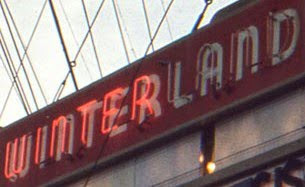 We attended performances all over the Bay Area, but most of them happened at Winterland, a venue at the corner of Post Street and Steiner Street in San Francisco. Winterland had an open floor with no reserved seating, so on the morning of a concert we would arrive early and wait all day, sitting on the sidewalk near the entrance, determined to get through the doors before anyone else. Once we were inside, we would run toward the stage and plant ourselves at the front, remaining there for the rest of the evening. After a show we generally would linger outside the stage door, sometimes until one or two in the morning, which enabled us to have brief conversations with well-known musicians and obtain hasty autographs on scraps of paper. David took his camera to many of those shows. Back then, photography by members of the public was freely allowed at most performances, which meant that David, who had a sharp eye for action and a strong feel for composition, was able to get a number of great shots. 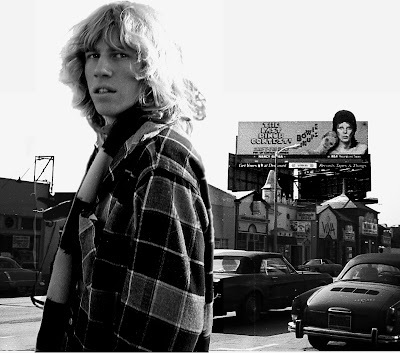 By taking those photographs (usually in color, sometimes in black-and-white), he preserved a host of vital moments from an extraordinary period in the musical history of the Bay Area. Brit Rock by the Bay will feature David's striking photographs, along with memories of the concerts from all three of us. Watch this space and join us as we happily return to the golden age of rock'n'roll. 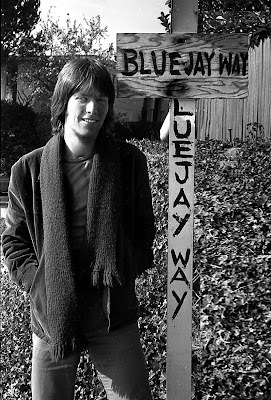 Editor's Note: At the beginning of 2010 (six months after Brit Rock by the Bay first appeared), David Miller got in touch with Dan Cuny, our friend from the early 1970s. None of us had seen Dan for many years, so it was a welcome surprise when, after such a long time, we all were able to renew our collective connection. Although all of us are now middle-aged, we still have much in common, particularly our memories of the happiness and excitement that we shared when we attended concerts together in our youth. 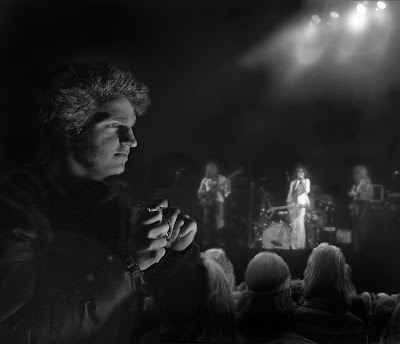 Dan also took photographs of many performances by British musicians in the 1970s, so it seemed only fitting that he should join us as a contributor to Brit Rock by the Bay. Together, the four of us hope that by sharing an enjoyable part of our own history, we are making a small addition to the ongoing history of rock'n'roll. This is an awesome webpage. It feels like I know these fellows. I bet they had a blast seeing all the classic bands of the 70's and 80's. 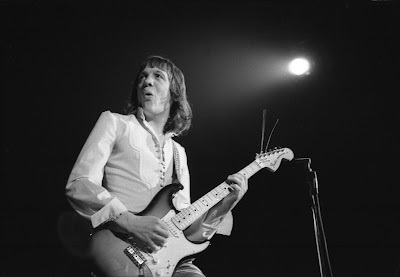 Trower. Winterland. 1974. Saturday Night. May 24. Gettin' ready to graduate High School in Palo Alto. Thought we'd make a "speed run" to see Sha Na Na again, catch Golden Earring's Radar Love along with headliner Sha Na Na's set and, oh yea, importantly, to rush the front and play air guitar while "Too Rolling Stoned." Sweet. Guys! Just discovered your excellent blog!!! Love every band you've posted so far. I'm in the Sacramento area. Would love to meet you (all of you). Any of you on Facebook. I'm going to start promoting the blog there. 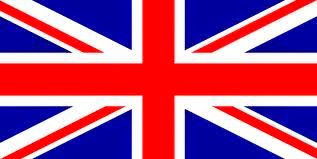 I already have to my friends on my Yahoo Humble Pie, Savoy Brown & Mott The Hoople groups. This is a stretch. But did you guys ever see TUCKY BUZZARD! If there's not pictures (don't care). Just want to find someone who has seen this band live. (one of my favorites). All the best and thanks again for this wonderful blog. "CHHEERS"!